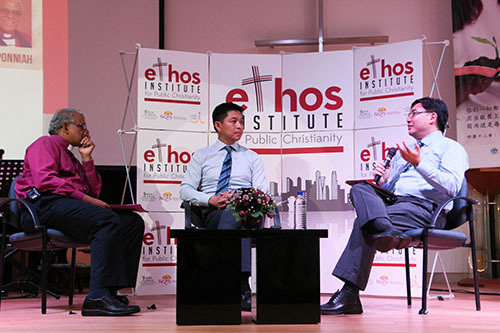 Minister for Social and Family Development Mr Tan Chuan-Jin and Anglican Bishop Rennis Ponniah discussed the role of the Christian community in our multi-religious society at the ETHOS Conversation, held at Providence Presbyterian Church on 22 March. Almost 200 Christians from different denominations and churches were present. A responsible church speaks up about contentious issues without monopolising the discussion, respects policies decided on, continues to keep communication channels open and cares for its neighbours in practical ways, said Bishop Ponniah. He was relating the example of Christians on the casino regulatory board who displayed responsibility by working hard to encourage foreign workers to exercise self-exclusion in the casinos. 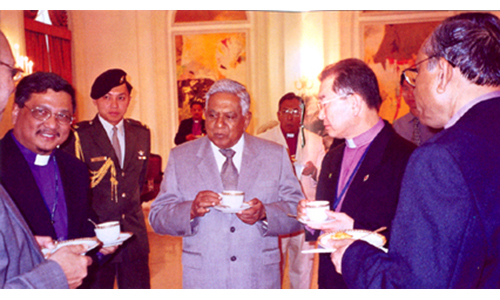 In a secular state, the government accepts religious views into public discourse, but is committed to the common good without bias towards any religion, added Bishop Ponniah. 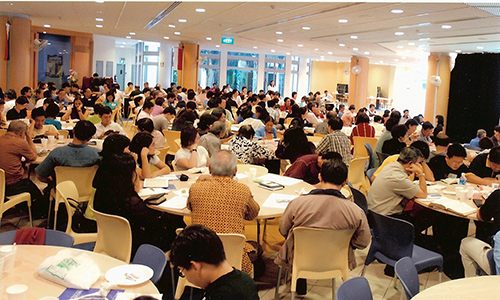 Dealing with the question of whether religious voices should be heard if they are related to certain issues, or if they should be excluded from public debate, Minister Tan expressed that leaders’ responsibility to exercise judgment necessitates drawing as much feedback as possible. Public discourse also needs to evolve to create a safe, common space where different conversations and views can co-exist. While social media can be polarised quickly with the central space occupied by a vocal minority, its dynamics are changing with more people speaking up and moderating that space, said Minister Tan. Bishop Ponniah underlined the importance of intermediate organisations articulating alternative views, even though “the spirit of our Lord is not to raise our voice”. By speaking up, we take ownership of public space and simultaneously, “safeguard democracy for the individual” as sometimes, individuals may inadvertently feel alienated and cut off from the system. Minister Tan noted that expressing one’s views is reasonable, but using the pulpit to mobilise people to take certain positions could be problematic. Christians differ in views as to what is acceptable, and some may encroach into common space in an unconstructive manner, creating a pushback. While defining out-of-bounds markers can be divisive and is not always possible, we can draw broader boundaries and allow space for discretion and judgment. Dr Roland Chia, who was moderating the discussion, pointed out that the ambiguity of the Maintenance of Religious Harmony Act – which defines the relationship between religion and politics – could easily lead to Christian witness being viewed as politicising. Minister Tan said that dialogue, promoting mutual understanding, and building bonds and trust across religious communities play a part in keeping society safe and in addressing sectarian ideology that could put a strain on our social fabric. 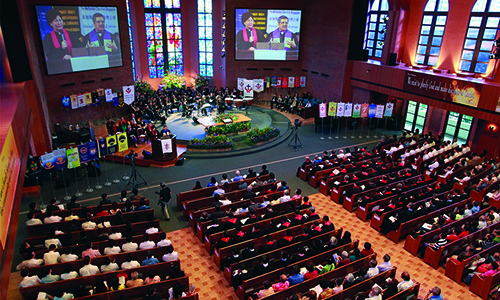 Drawing on his experience in running leadership courses in the Army, Minister Tan said that our internal framework – be it as a church, a body of Christ, or a nation – guides us in understanding, contextualising and discussing events and issues we are passionate about, and how each interplays in the larger scheme of things. Acknowledging Christians’ contributions to nation-building in education, social services and healthcare, he said that “we are setting reference points as a society by contributing these values” and serving others. Another question was posed about retaining our Christian witness in the aftermath of misdeeds by high-profile Christians. Bishop Ponniah responded: “We should pray that when Christian leaders fail and have been found guilty of wrongdoing, we have the grace to accept it, and to take corrective action and to bring home the reality that we are not in a class above others. This is a great challenge on our discipleship because our witness is tied to the credibility of our lives. “How we respond to these failings may become a bridge to the rest of society and be an example of how we recover from failure –and it can be a testament to the gospel how we fail, repent, and see God’s grace,” he continued. 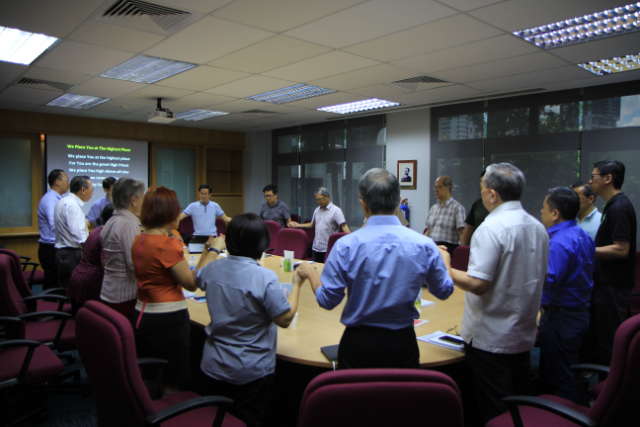 Minister Tan encouraged us to examine our Christian witness daily, as that makes a greater impact in shaping others’ views of Christians and their salvation. 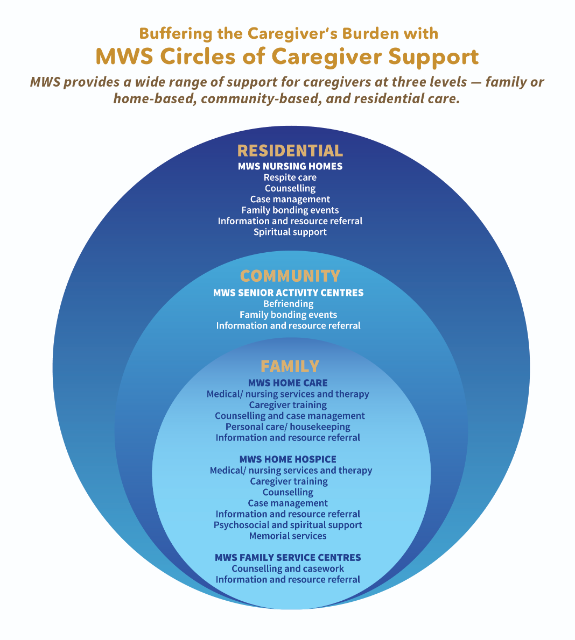 Each person has no control over his church or the society, but a useful perspective is to think about the quality of our lives, the way we carry ourselves – for example, how we treat domestic help. In closing, Bishop Ponniah encouraged “a humble tenacity” in bringing out God’s goodness and ways gently, understanding that we are in a secular state and need to handle our dual citizenship in the Kingdom and in our nation with the right weightage. Chia Hui Jun –is Editorial Executive at Methodist Message and worships at Foochow Methodist Church.